I thought about presenting three recent apparitions - or to be more precise two first editions (one UK only, one US/UK) and a first US edition of a book published in the UK earlier - as all are books of great interest for me and of course I have just bought all when I found out about them a few days ago, while I have not really seen any mention of either on the sff sites and forums I look at. Since this year until mid-summer at earliest my presence here at FBC will be quite unpredictable so to speak, I may not get to do a full fledged review of any of them, though of course you always can find my opinions (in a rawer, much less edited form) on Goodreads. 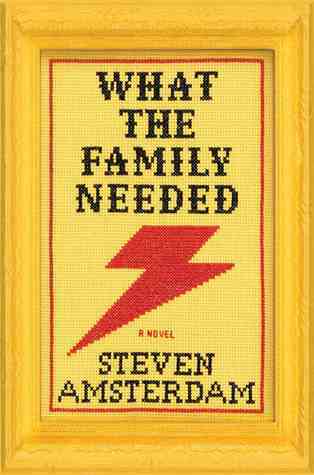 "In this incandescent novel, a family’s superpowers bestow not instant salvation but the miracle of accepting who they are. “Okay, tell me which you want,” Alek asks his cousin at the outset of What the Family Needed. “To be able to fly or to be invisible.” And soon Giordana, a teenager suffering the bitter fallout of her parents’ divorce, finds that she can, at will, become as invisible as she feels. Later, Alek’s mother, newly adrift in the disturbing awareness that all is not well with her younger son, can suddenly swim with Olympic endurance. Over three decades, in fact, each member of this gorgeously imagined extended family discovers, at a moment of crisis, that he or she possesses a supernatural power. But instead of crimes to fight and villains to vanquish, they confront inner demons, and their extraordinary abilities prove not to be magic weapons so much as expressions of their fears and longings as they struggle to come to terms with who they are and what fate deals them. As the years pass, their lives intersect and overlap in surprising and poignant ways, and they discover that the real magic lies not in their superpowers but in the very human and miraculous way they are able to accept, protect, and love one another." Loved the author's debut, Things We Didn't see Coming and What the Family Needed seems to be a similar episodic sfnal novel which was recently published in the US. After trying a few pages, the same style from the first book decided me to get this one and I should read it sooner rather than later. 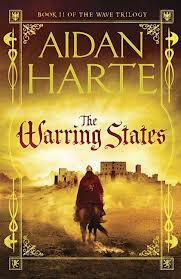 Aidan Harte's The Warring States (UK only for now) is the second book in the Wave trilogy after the debut Irenicon which Mihir liked a lot but about which I was mixed as my Goodreads review shows. However as time passed, I still remembered Irenicon while other series I enjoyed the first book more on first read dropped from my interest, while the blurb - not included as it is very spoilerish for Irenicon, so read it at your own risk if you have not read the series debut yet - of The Warring States decided me to give it a try. I expect I will enjoy this much more and maybe even reconsider my opinion about Irenicon too! "In 2009, Chris Beckett’s first short story collection The Turing Test won the prestigious Edge Hill Prize, becoming the first, and to date the only, genre collection ever to manage this. In doing so, the book triumphed over a very strong shortlist, including collections by one Booker Prize winner in Anne Enright and two authors who have been Booker shortlisted in Shena Mackay and Ali Smith (the latter a winner of the Whitbread Prize). In 2012 the Sunday Times named Chris’ latest novel Dark Eden the best science fiction novel of the year, and it is currently shortlisted for the BSFA Award in the same category. NewCon Press are delighted to be publishing The Peacock Cloak, the latest collection from one of Britain’s most distinguished and accomplished genre authors. 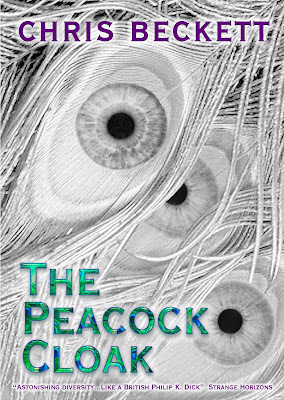 Contains twelve stories (85,000 words) all previously uncollected." Not only that but the reason for the jump was the prose of Mr. Beckett - as the subject of Dark Eden is still something that an experienced sf reader has seen many times - so any new book of the author became a must try at the least. On the other hand I am generally slow in reading collections and for example I bought The Turing Test a few years ago and still have read only about half the stories there, so The Peacock Cloak which was a buy on publication more or less as in digital form it is priced very well for a collection, may be another book I will fully read only in time. The first few stories I tried are quite interesting and I definitely urge anyone interested in Mr. Beckett's work to take a look at this collection too. AUTHOR INFORMATION: Zachary Jernigan was born and brought up in the United States and has lived for most of his life in the western half of the country. He has a BA in Religious Studies from Northern Arizona University (2005) and an MFA in Creative Writing from University of Southern Maine's Stonecoast program (2011). His short fiction has appeared in a variety of places, including Asimov's Science Fiction, Crossed Genres, and Escape Pod. He has previously worked in a variety of fields and avoids seeking management positions. He currently lives in Northern Arizona and No Return is his Debut novel. OFFICIAL BOOK BLURB: On Jeroun, there is no question as to whether God exists--only what his intentions are. Who may know the mind of God? And who in their right mind would seek to defy him? FORMAT/INFO: No Return is 292 pages long, divided over five parts which is further divided into twenty-three chapters and a prologue and epilogue. Narration is in the third-person primarily via Vedas Tezul, Churli Casta Jones, Berun, Pol Tanz Et Som, Ebn Bon Mari and Adrash. This book can be read as a standalone and has resolves most of its plot threads. March 5, 2013 marked the publication of the US Hardback and e-book edition of No Return by Night Shade Books. The cover art is provided by Robbie Trevino. ANALYSIS: Zachary Jernigan’s No Return is a debut that drew my attention to it like a moth to a flame. The blurb detailed a foreign world and races that was simply too enticing for a fantasy fan like me. The author was kind enough to send me a copy and I started reading it with high anticipation but not knowing what to expect. The story is set on the world of Jeroun wherein a single habitable pan-continent is the focus of the entire tale. It is a world wherein a God named Adrash has existed for eons and now has left humanity and other races bereft of his divine presence. The world since then has developed in interesting ways after Adrash nearly destroyed it by causing two of his artificially created spheres to slam onto Jeroun’s surface and caused an ice age of sorts. The two main religions that have arisen due to these actions are Adrashi and Anadrashi that espouse either rule of Adrash or rule of man. Both these factions have long clashed with each other causing further rifts and doubts to arise. Adrash since then has created several spheres that he aligns in a fashion of sorts, which has been titled “the Needle” and threatens to wipe out Jeroun’s inhabitants. This has lead to an interesting development and now we find ourselves in midst of the story wherein all the characters are trying to achieve what they think they should. Vedas Tezul is a warrior of the 13th order of Black Suits who is also the most adept fighter amongst them and is chosen to be their representative for the decennial tournament at Danoor. Churli Casta Jones is a warrior who has her own reasons to travel to the Danoor tournament but she’s not alone and will have to learn to trust other warriors again. Berun is a constructed man and therefore not entirely human but he shares within his mind, memories of his creator and will have to decide whether he is his own person or just a creation. Pol Tanz Et Som and Ebn Bon Mari are royal outbound mages who regularly make trips into space to observe Adrash and the Needle. They however have their own plans to accomplish and they will do anything everything to get their way. These are the main POV characters and the reader will have to ascertain what each and everyone wants. This book is one of the weirdest and simply terrific fantasy-SF hybrids that I have ever come across. Firstly kudos to the author for coming up this plot and ensconcing a complex world, races, and magic system within such a slim volume. The author also retains a certain simplicity to his tale by not making it overtly obtuse a la Erikson or R. Scott Bakker. This was one aspect that I liked a lot, not that the author has made this story an overtly simplistic one as there’s a lot going on and packs quite a wallop within its pages. It focusses on religion, group mindsets and the way of life as evolved due to circumstances (as seen uniquely on this planet) and all of which makes for a very fascinating story. His world and storyline are definitely unique in the sense that they combine different genres and themes to give us a story about finding the truth (be it about life, religion, one's role, etc). The author has to be lauded for his effort in undertaking such a different story as he also tackles various issues brought forth by religious viewpoints that differ drastically, ethnic and racial tensions and much more. He however has managed to combine all these difficult queries within the folds of his story in spite of the single volume nature of the tale. The author also takes a very vivid view towards the sexuality of his characters and writes some exotic scenes featuring alien anatomy. For a few readers who aren't used to such frank scenes, might not be able to fathom it entirely but again it will be upon the reader's perspective in regards to the judgment of these scenes. If there is a drawback to this story then it would be the way the story ends, the reader will want to know more about the world and the characters introduced within. In this regard while the story ends on a climatic note, certain threads left open will cause some consternation for readers that are engulfed within the story. I was one among them and therefore I would very much like to know more about the future and past of this strange alien world. Zachary Jernigan has spoken about this aspect in his guest post a bit as well in his email correspondence. Hopefully most of the questions about the world and its history will be answered in a companion volume and so I’ll among the first to grab it whenever its written. CONCLUSION: Zachary Jernigan writes with a flair for the weird and makes it endearing enough for readers to feel familiar with it. 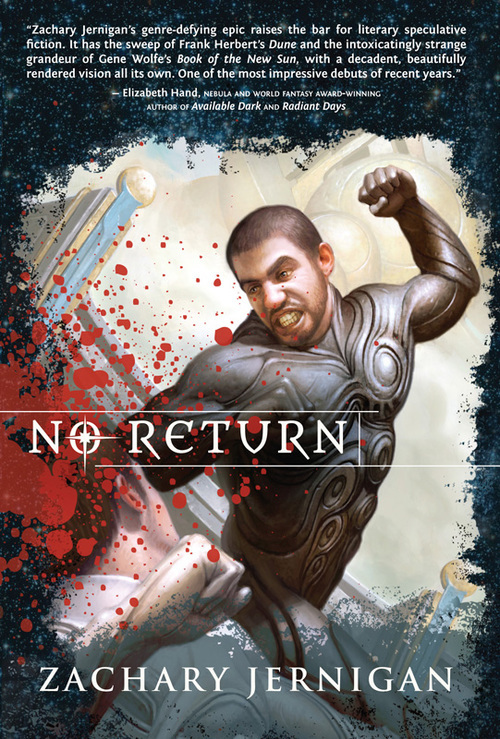 No Return is a magnificent debut that straddles fantasy and SF genres seamlessly and makes itself into a jewel faceting both fields. I completely loved this debut and will have very high hopes from Mr. Jernigan for all his future works based on the raw talent that is showcased within. Make sure you don’t miss this one as this book will be definitely featuring highly in my year end lists. 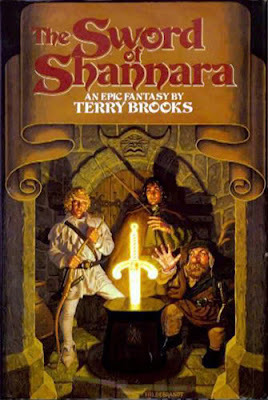 When Terry Brooks published The Sword of Shannara in 1977, he wanted one thing. He didn’t want awards. He didn’t want accolades. He didn’t want to win critical acclaim from book reviewers—even though Dune author Frank Herbert wrote one hell of a New York Times book review for Sword. No, he just wanted speculative fiction fans to pick up the book, read it, enjoy it, and spread the word to other readers. Remember the time period. 1977. No internet. No social media. No smart phones. There was no simple means to effectively market Sword to the masses of fantasy readers who might be interested. There were reviews in newspapers; there were articles in magazines. That was it. Instead, editor Lester del Rey relied on booksellers. He knew if booksellers liked the book that they would recommend Sword to their customers—and those customers would tell their friends. Word spread. Did it ever! For The Sword of Shannara, word of mouth is responsible for making it a bestseller. The debut novel sold 125,000 copies in its first month of publication and remained on the New York Times trade paperback bestselling list where it stayed for five months. Skip to 2013! Word of mouth is as important as it was in 1977 — maybe more so. More fantasy is published now than ever before and it is hard to choose between the hundreds of new books released every year, all vying for our attention. Most of us have fixed incomes and we must discern what to buy and what not to buy. We rely on fantasy blogs like Fantasy Book Critic to help us. We rely on publishers giving us exclusive excerpts. We rely on authors offering giveaways. But word of mouth… word of mouth is still the most powerful driving force in the industry. I have been Terry Brooks’ webmaster for almost fourteen years. It has been a pleasure. Terry is one of the nicest writers in the field and has a fanbase to match. His wife Judine is fond of saying he has the best fans in the genre. Since I’ve been responsible for his website/ social media and been surrounded by those fans for over a decade, I have to agree with her whole heartedly. When I began work on The Dark Thorn, my urban/epic fantasy hybrid novel, Terry fully supported me. He even edited my debut, mentoring me in the craft of writing. Some of it stuck thankfully and I soon had a finished book he said I should be proud of. I am. And during the entirety of the process, many of Terry’s fans followed my progress, their curiosity and need to read the book growing over the last year. 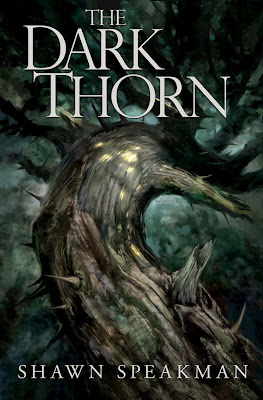 1) Is The Dark Thorn a good book? 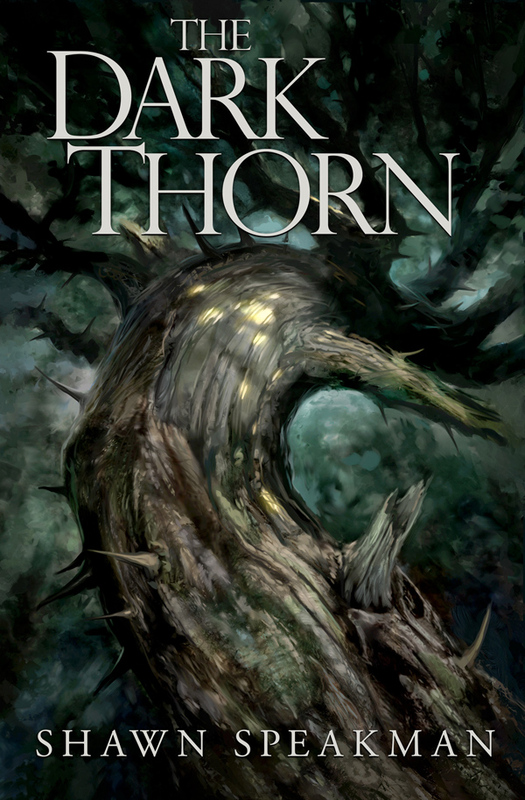 2) Will readers give The Dark Thorn a chance? 3) Will word of mouth sell The Dark Thorn? I have written what I think is a good book. Early reviewers have agreed so far and said The Dark Thorn is a cross between Terry’s Word/Void series and Jim Butcher’s Dresden Files. Even though I hate comparing in such a manner, I mostly agree with that assessment. If you haven’t read it, feel free to try an excerpt HERE. And, so far, readers have been giving my debut novel a chance. As I said, sales have been strong despite the limited avenues one can get a copy. Now it largely comes down to word of mouth. Word of mouth is key. Readers trust other readers and it is the best way to find a new favorite writer. So I give you a challenge today. I want each of you to share with your friends—in person and/or online—what new writers you have enjoyed reading recently. Right now. Open Twitter. Start Facebook. Send a text message, write an email, or make a phone call. The recommendation doesn’t have to be The Dark Thorn, although if you’ve read it and liked it that would be nice. I would rather see people actively sharing. Ultimately, readers decide whether a writer has a long career or not. So be a part of that! And share! AUTHOR INFORMATION: Shawn Speakman is the author of The Dark Thorn and editor for the forthcoming fantasy anthology Unfettered. When he isn’t writing, he maintains the websites for authors Terry Brooks, Naomi Novik, and David Anthony Durham, as well as runs The Signed Page and writes for the Random House sci-fi/fantasy website Suvudu. 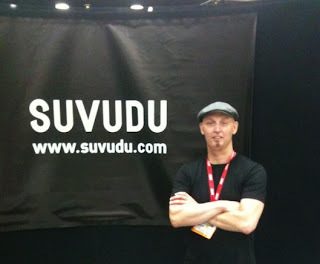 Learn more about him and his work at www.shawnspeakman.com! NOTE: Shawn Speakman picture courtesy of the author himself. Watch out for FBC review of The Dark Thorn next week. 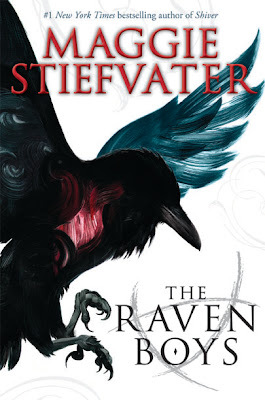 The Raven Boys, written by New York Times Bestselling author, Maggie Stiefvater, was published September 18, 2012 by Scholastic Press. Stiefvater is the author of the previous bestselling YA series, the Shiver Trilogy. The Raven Boys has earned top accolades itself, such as being named one of Amazon.com's Best Teen Books of 2012, one of the 2013 American Library Association YALSA Top Ten Fiction Books for Young Adults, and a New York Times and USA Today bestseller. The Raven Boys is the first in a new four-book series. The Raven Boys is one of the most interesting books I have read in a long time, and once I started it, I could not put it down. Fans of Stiefvater's Shiver Trilogy will recognize the superb “show-don't-tell” quality of her writing, and it gives a sense of what I cannot help but describe as a fullness. Many books— not just those that fall in the YA genre—have adopted the post-Seinfeld, fragmented way that we often speak to one another. Personally, I don't want to spend time reading a book that sounds like a text-conversation. Stiefvater takes her time with her language, and that fits in perfectly with the sleepy Southern setting of the book. “April days in Henrietta (Virginia) were quite often fair, tender things, coaxing sleeping trees to bud and love-mad ladybugs to beat against windowpanes” (p. 7). Various Southern tropes, such as restless spirits, local psychics, and blue bloods dripping in old money, make appearances, and in Stiefvater's deft hand they offer a welcome feeling of familiarity instead of banality. Also, the story is fleshed out gradually, requiring the reader to do a little work to figure out how things fit together instead of being taken by the hand and led from point A to point B. The books starts with a prologue which introduces Blue Sargent, a 16-year-old who comes across as very sure of what she does and doesn't like, who she is, and what she isn't. Blue is the only daughter of a psychic who has both a solid base of clients and an array of equally psychic female family members and friends that keep their small house just a bit hectic. The scenes that show Blue interacting with the women of the house reveal several colorful characters that are more than flat personas (Hip Mom, Crazy Aunt Type, Hostile Aunt Type, Creepy Aunt Type, etc.) at their roots. While Blue herself is not psychic, she acts almost like a battery for those with the gift; when she is present, magic is stronger, visions are clearer, etc. Another aspect to Blue's unusual life is the fact that from the time she was born, every psychic she encounters makes the same, oddly specific prophecy: When Blue kisses her true love, he will die. Since she doesn't believe she will fall in love, Blue is not concerned about the prophecy. But, when she sees the spirit of a young man named Gansey who is destined to die in the coming year, a spirit that should be invisible to her non-magic eyes, she knows enough to worry, either because he is her true love or because she is the one who kills him—and in her case it just might be that both of those are true. The not-yet-dead Gansey is a student at the prestigious private boys' school, Aglionby. Aglionby students have the school emblem, a raven, printed on their sweaters, thus leading to the nickname of Raven Boys. Raven Boys are seen by many—including and especially Blue—as spoiled, aimless rich kids who wreak havoc and have powerful parents to clean up their messes. While Gansey is careless regarding issues of money (a trait he is reminded of by his friend, Adam, who attends Aglionby on scholarship), he does have a goal: he wants to find evidence of magic, real magic, in the world, and that has him on a quest for the legendary tomb of Glendower. Gansey has earned the fierce loyalty of his best friends, Adam, Ronan, and Noah (all of whom have their own significant plotlines that will be further explored, no doubt, in later books), and though they do not always agree with one another, Gansey and the quest are the glue that hold them all together. Two chance encounters with Blue (at the pizza shop where she works and at her home when the guys go in for a scheduled reading) do not show Gansey in his best light, though, and also makes it clear that this isn't simply going to be a “boy meets girl; boy gets girl” type of story. The murder mystery portion of the story played out in a very unexpected way. There were other story elements that also took me by surprise (one of which had me flipping back through the book to check for missed clues), but I won't spoil them for you by writing about them here. The plot of the story is wrapped up, so this book is a solid stand-alone; at the same time it left me very much in anticipation of the next book. According to Maggie Stiefvater’s website, the next installment in the series, The Dream Thieves, will make its appearance on September 17, 2013. Etiquette and Espionage—published February 5, 2013 via Little, Brown Books for Young Readers—is the first of Gail Carriger's new YA Finishing School series, set in the same world as The Parasol Protectorate, but 25 years earlier. If you've read The Parasol Protectorate, you'll recognize a couple of characters; if you haven't, don't worry. Our protagonist Sophronia is essentially drafted into a finishing school that is nothing like what a proper finishing school should be—where the girls are being trained to “finish…everything…and everyone…as needed.” That is to say, they don't just learn proper curtsies and quadrille technique; they are also taught poisons and covert operations. Sophronia, not being the passive sort, adapts to her new circumstances, assembles cohorts, and sets about unraveling a mystery. Of course, there are mechanimals, flywaymen, evil genius societies, werewolves, and vampires, to name but a few complications. Unlike in The Parasol Protectorate, the main characters are not endowed with any kind of magical abilities, and so Sophronia's perceptiveness, quick-thinking, and daring are the most powerful tools in her arsenal, and she applies them with aplomb. 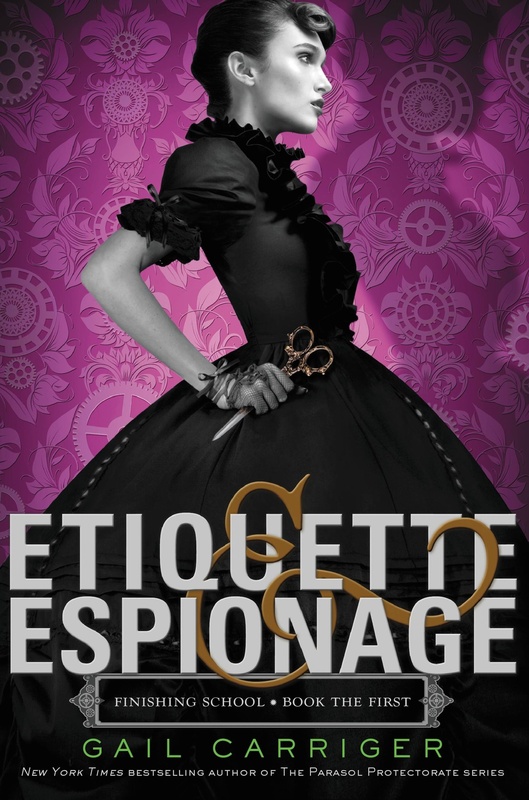 Etiquette and Espionage has the same lighthearted whimsy, fascination with etiquette and steampunk technology, and stroppy lady protagonist that I loved from Soulless. Although the tone is light, Carriger nevertheless sneaks in commentary on and subversion of first impressions, racial generalizations, gender roles, and social hierarchies. It's a fun, fast-paced read, and it looks like there will be three more books in the series, the next of which, Curtsies and Conspiracies, we can expect this November. AUTHOR/DIRECTOR INFORMATION: David Mitchell is an English novelist born in January 1969 and has lived in Japan—you can really feel the Asian influence in his writing. He has written five novels including Cloud Atlas, which was shortlisted for the 2004 Booker Prize, Nebula Award, Arthur C. Clarke Award, and other awards. His latest novel, The Thousand Autumns of Jacob de Zoet, was published in 2010. Tom Tykwer is a director, writer, producer and composer born in Germany in 1965. His filmography includes Run Lola Run, Perfume: The Story of a Murderer, and The International. Lana & Andy Wachowski were born in Chicago in the 1960s and are best known for writing/directing The Matrix Trilogy. Other works include V For Vendetta, Speed Racer and Ninja Assassin. FORMAT/INFO: Cloud Atlas the novel was first published in 2004 by Hodder & Stoughton in the UK and by Random House in North America and is currently available in Paperback, Hardcover and eBook. The film adaptation of Cloud Atlas was released in North America on October 26, 2012 and in the UK on February 26, 2013. The film is 172 minutes long and stars Tom Hanks, Halle Berry, Jim Broadbent, Hugo Weaving, Jim Sturgess, Susan Sarandon, Hugh Grant, et cetera. 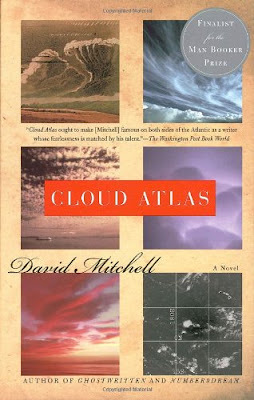 INTRODUCTION: When I learned that David Mitchell’s Cloud Atlas was going to be adapted into a movie, I was intrigued. 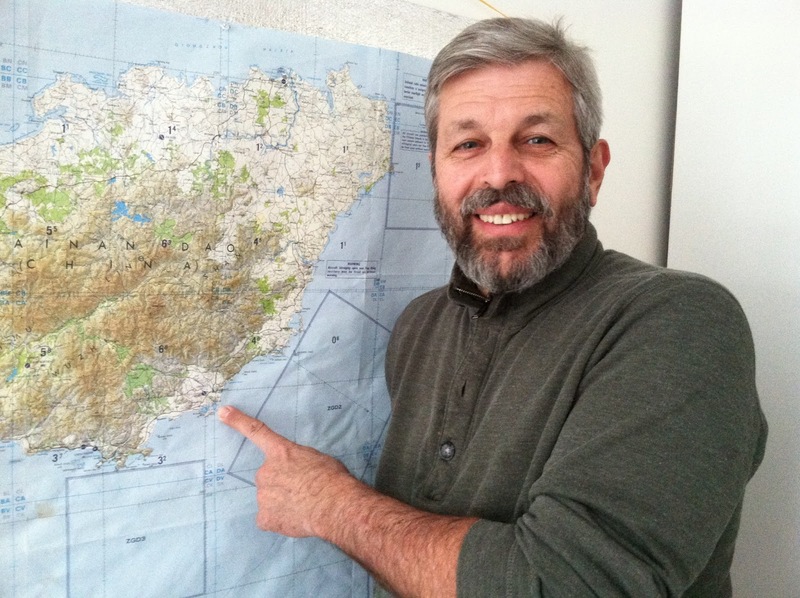 Could this subtle, complicated story really be translated into a film successfully? The book definitely had potential for a screen adaptation, but would the fragile link between the different parts survive? Would it be possible to condense so many time periods, characters and stories in just two to three hours? It was a major challenge, and just for making the attempt, I really admire Lana & Andy Wachowski and Tom Tykwer, but what did I think of the movie? 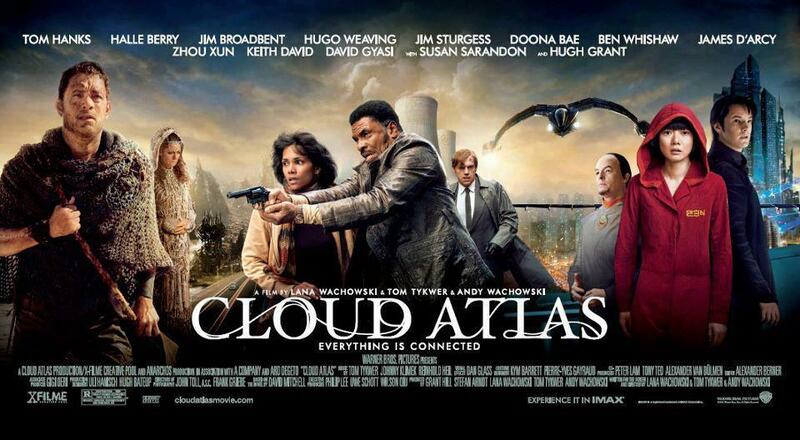 Find out below as I review Cloud Atlas as both a novel and a movie. ANALYSIS (Cloud Atlas—The Novel): Cloud Atlas is certainly one of a kind to say the least, and it is definitely “intense”, which is how my friend who recommended the book to me described it as. The six stories composing the novel are beautifully and intricately linked together, while Cloud Atlas asks two critical questions that is a wonderful reflection about humanity: Where might our hunt for more—more power, more materialistic comfort, etc.—might drive us to, and whether humans are reborn again and somehow linked to their past and future self? Yet Cloud Atlas is not a piece of Marxism or an esoteric essay, and only two of the six stories possessed SFF elements, and it is from these very characteristics that David Mitchell’s novel takes its strength from. NOTE: Click HERE to read Liviu’s more comprehensive review of Cloud Atlas and its six individual stories. ANALYSIS (Cloud Atlas—The Film Adaptation): In Cloud Atlas the movie, the directors decided not to keep the (relatively) linear construction of the book which separates each story into two parts but Zachry’s. Instead, the six stories are fragmented and run simultaneously to one another. This can be confusing for those who haven’t read the novel and do not understand who the characters are. Despite this, I think that overall the movie is really good: good acting and good pacing, especially once you get used to the alternating stories. In general, I find that the necessary (but painful for fans of the novel) cuts are for the most part justified or understandable, including the suppression of minor characters such as Arys’ daughter in Robert Frobisher’s story for instance. Yet I felt the book’s message had been slightly distorted in the movie. This is partly due of course to the nature of movies itself—showing instead of telling—but this still disturbed me a bit. For example, I felt the romantic elements in each story were given too much importance compared to the part they played in the book. This is classic Hollywood, fair enough, but it seems to me that this focus on love only confuses the meaning of the original story: instead of six characters linked together somehow, the movie became the story of two lovers finding each other again and again (which was a possible interpretation of the book, but not the main one…again in my view!). All this while, the link between the individual stories—how each character heard about their most recent alias—practically disappears, which was such an important part of the novel’s construction. Also, there is the fact that the same actors play more than one character in the film. There is no indication whatsoever of such resemblance in the book, except for the comet birthmark, and in my opinion this made the film more confusing than anything for someone who has yet to read the novel. 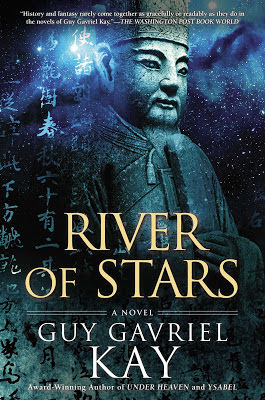 Congratulations to Brian Dupuis (North Carolina) who was randomly selected to win an ADVANCE READING COPY of Guy Gavriel Kay’s upcoming novel, River of Stars, courtesy of Wunderkind PR!!! 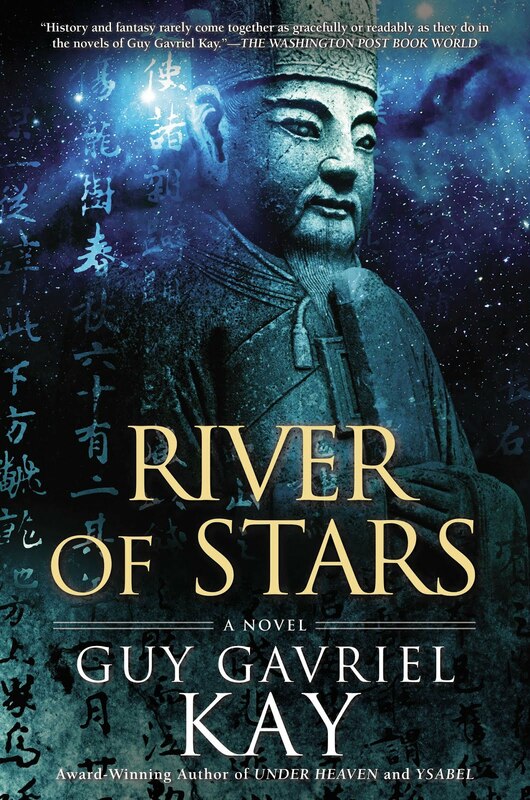 River of Stars will be published in North America on April 2, 2013 (Order HERE). More information on Guy Gavriel Kay and River of Stars can be found at the Official Guy Gavriel Kay Website and at Bright Weavings: The Worlds of Guy Gavirel Kay. "Wrong number? There are two sides to any quarrel . . . unless there are more. 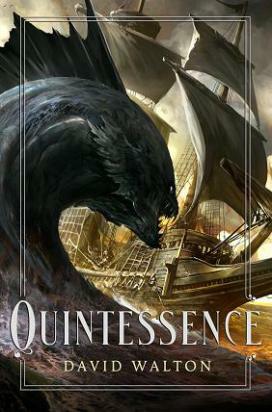 Michelle Henke, Queen Elizabeth of Manticore's first cousin, Honor Harrington's best friend, and the commanding officer of Manticore's Tenth Fleet, is just a bit surprised when a messenger arrives from the Mobius System to inform her that the Mobius Liberation Front is prepared to rise in rebellion against the hated regime President Svein Lombroso. She can understand why anyone would want to rebel against someone like Lombroso, but why tell her about it? After all, she has problems of her own, like the minor matter of a life-or-death war against the Solarian League. Michelle has just handed the "invincible" Solarian League Navy the most humiliating, one-sided defeat in its entire almost thousand-year history in defense of the people of the Star Empire's Talbott Quadrant. But the League is the most powerful star nation in the history of humanity. Its navy is going to be back – and this time with thousands of superdreadnoughts. She knows that . . . and she doesn't care. Not on Mike Henke's watch." For a short discussion of the series' structure up to book 16, Mission of Honor, see my Invitation to the Honorverse post linked also above, while I discussed book 17, A Rising Thunder HERE. 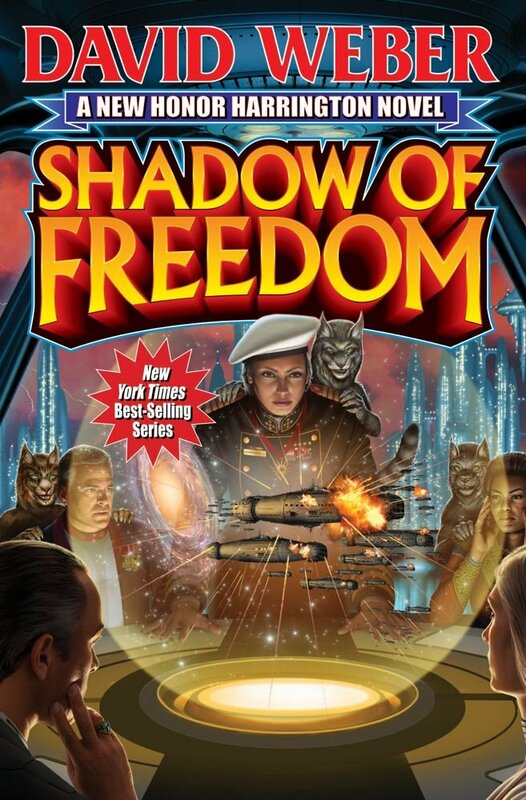 Billed as "#18 in the multiply-bestselling Honor Harrington series" and with the blurb above, Shadow of Freedom follows the recent Honorverse tradition of separating multiple action theaters into a few books taking place in roughly the same timeline and containing fragments and even full chapters from previous novels, both for reference and for additional perspective. So to a large extent the place of this book in the series tapestry will not be seen until future installments put what happens here in perspective and I would argue that one's reaction to it depends partly on how one feels about this way of writing the series - while I had some reservations in the beginning when the books were either too disconnected (see Crown of Slaves and The Shadow of Saganami) or too repeating (see Storm from the Shadows first 200 hundred pages), I think that with Shadow of Freedom, David Weber has started doing the multiple books/same timeline stuff really well, though of course one occasionally would love a mammoth 1000 page novel to cover all events in a single volume. The other qualifier about Shadow of Freedom - which applies to any series in which the same timeline is split into several books - is how much one likes the action and characters from this particular split. As I tend to really like the Talbot Sector part, while for example not particularly caring for the Zilwicky/Cachat stuff as that tends too much towards superhero pulp, Shadow of Freedom was a true pleasure to read end to end in one sitting and I reread it a few times since I got the earc last fall as noted in this post. Length, yes very short; I discount David Weber's books to about 2/3 size due to repetitions and the info dumps - here there is a Detweiler chapter and other stuff that is c/p from earlier work - so the book at about 420 pages felt like an under 300 page one, but those ~300 pages were really, really good, better than 4-500 pages from almost anyone else. Lots of new beginnings and new characters which I actually like; gives one the idea of both how big the Solarian League and its "protectorates" are and why the series will last another 10 novels or more and this is again a positive. Lots of great moments both funny and sad; the desperate resistance movements and the "now we have stopped trying to get you to see reason and it's five minutes to abandon your ships or die" were highlights, but the most I enjoyed the last part with the two "rats" and their escape attempt(s) and the "Of course, at the moment I haven’t found anything that wasn’t your fault, but I’m sure if we keep looking long enough we’ll find someone else who screwed up almost as egregiously as you guys" which is another Weberian quote for the ages. After reading this last part of the novel, I would suggest re-reading chapter 5 of The Shadow of Saganami and enjoying it even more! Regarding the ending, I actually have a belief that it signifies quite dramatic developments soon as such would really amplify its already pretty emotional content. Overall I found Shadow of Freedom an excellent series installment that will become even better when the next few books are released and it will be one of my top 25 novels of 2013. When I added travel over the earth to my travels over the page and arrived in East Asia, my journeys through medieval China began to add the elements of sensual recognition. The sights, sounds, smells, tastes, and tactile sensations of China began to influence my travel perspective. With these additions, my historical travel became more exciting, more imaginative, and more adventurous. Researching the social and intellectual history of the medieval Chinese Buddhist clergy, I was now able to go out and meet them – or at least, their lineal descendants. A doorway, or, perhaps a rabbit hole, had opened. I could not only learn their point of view on their own history, but could also begin to see first hand their perspective on the world around us. As I became better at spoken Chinese, I learned more and more about these different perspectives. As a result of living in a Chinese Buddhist monastery for a year, I not only got to see how it functioned internally, within itself, but also how it functioned within its society. Perhaps it was the accumulation of all these factors – sights, smells, tastes, sounds, tactile sensations, and new acquaintances – that moved me from traveling through medieval China as a historian, thinking I was seeing the “reality” of that time and place, to discovering a deeper form of travel – that of the fiction writer. The wuxia genre is a traditional Chinese storytelling form defined by two basic elements: wu and xia. Wu pertains to all things martial such as weapons (especially the sword as a symbol of nobility and valor), fighting techniques, and martial culture. Xia is usually translated as “chivalric hero.” Xia refers to those men and women who acted in a subjective, heroic manner to right injustice. Their sense/code/ethic of chivalry involved the following values: altruism, justice/appropriateness, individual freedom, personal loyalty, honor & fame, generosity & contempt for wealth, and reciprocity. This genre normally focuses on action (especially the action of the human form) and adventure and takes place in an imaginary world of these heroes known as the jiang-hu (literally, “rivers and lakes” also “cultural-imaginary world”) which has been defined as, “the self-contained and historically sanctioned world of martial arts.” It is a world that accepts the fantastic as normal at certain levels of skillful physical and mental attainment. From my perspective as a wuxia writer, the xia ideal is about friendship. It is perhaps the most profound sense of friendship – for the xia are willing to give their lives for strangers just recently befriended, for ideals that resonated within their hearts, and for a sense of higher attainment in whatever path they followed. The friendship ideal embodied by the xia represents one of the most profound and moving human ideals. Perhaps, it is at the core of what really makes us human. But the rules are different in Liaozhai. Ghosts can be accepted as both psychologically induced and materially present, just as a sequence can be cast simultaneously as a dream and as a real event…the strange often results when things are paradoxically affirmed and denied at the same time. In other words, the boundary between the strange and the normal is never fixed but is constantly altered, blurred, erased, multiplied or redefined. In fact, the power of the strange is sustained only because such boundaries can be endlessly manipulated. It is this sense of the Strange that I seek in my wuxiashenguai historical fantasy genre. But before I get too carried away by my lingering bad habit of academic exposition, let’s get back to my fiction. My first novel-length medieval China historical fantasy was Dream of the Dragon Pool: A Daoist Quest. As is my writing pattern, I pick a historical character and develop a story around that character. 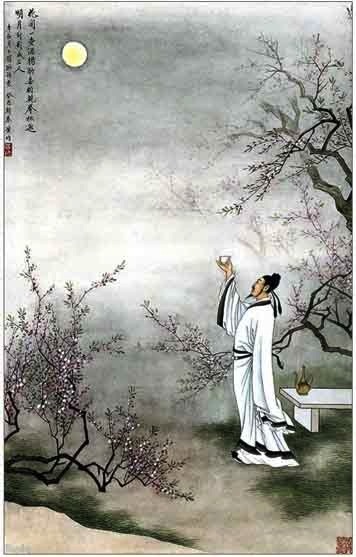 In this case it was one of China’s greatest poet’s Li Bo (李白, also read as Li Bai, 701-762 C.E.). A poet as a swordsman? While we have a lot of his poetry, we only have a dim outline of Li Bo’s life. There are a lot of stories – one of which has him claiming that in his late teens he lived with a Daoist master who taught him swordsmanship and that he killed a couple of people in sword fights. That was enough for me! Combine that with the fact that he was charged with treason and exiled to distant Burma via the Yangtze River and I had a river trip as my plot. That’s where the shenguai aspect enters, as Li Bo discovers an ancient, powerful sword, the Dragon Pool Sword, which attracts a number of fantastic antagonists. My story finds Li Bo near the end of his life, exiled from the Tang Court, suffering a form of writer’s block – he can no longer compose poetry, and an outsider on many levels. The historical Li Bo’s murky background also suggests that he was not an ethnic Chinese. What evidence that can be found seems to point to a far Western ethnic family origin – perhaps, Persian, as in Iran. So I used this to make him a stranger in his own land, a stranger who had mastered the native language so that he was one of the preeminent poets of his time. There were many at Court that resented this “foreigner” who so fluently and eloquently expressed the deepest human emotions in their mother tongue. My next novel, Listening to Rain, is the first in a trilogy. This time the historic figure is a 7th century Buddhist warrior monk, Tanzong (曇宗). We have a beiwen (stele) dating from that period that was discovered at the Shaolin Monastery. It commends and awards thirteen Shaolin monks for their contribution to Li Shihmin’s (599-649 C.E. 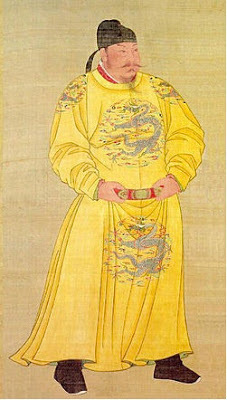 ; Emperor Taizong r. 626-649 C.E.) successful efforts to unite the Chinese empire and establish the Tang dynasty (618–907 C.E.). 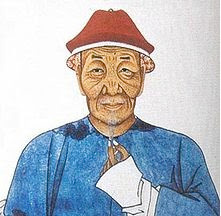 Their leader, Tanzong, was granted the military rank of “general-in-chief.” This is all we know of these warrior monks. 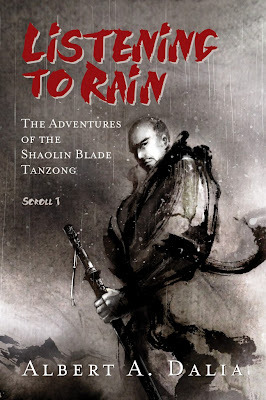 Since, historically, we don’t know anything about him beyond what’s on the stele, I set Tanzong’s tale in that historic quest to unify the Chinese empire. This time directly influenced by the twenty volumes of Patrick O’Brian’s great historical fiction Aubrey-Maturin Napoleonic sea warfare series, I give Tanzong a “Maturin-like” companion the Imperial Commissioner, Li Wei. While he is a fictional character, his master, the great Tang chief minister and advisor to the emperor, Wei Zheng (580-643 C.E.) was a major Tang historical figure. I also gave Li Wei the background of being the lead complier of the Tang imperial encyclopedia of “existing knowledge,” which allows him to know a lot of things. Yet, as a young man in his 20s, he doesn’t have the experience to “season” his knowledge. This gets him into a number of interesting situations as the pair travel through the dangerous far southern reaches of the shattered Chinese empire. The antagonists of the trilogy, the Celestial Masters Daoist cult are still in existence in modern day China. They rose at the collapse of the Han dynasty in the third century C.E. and sought to unify China under their spiritual tutelage. Thus, in the overall scheme of things, the trilogy follows the broad outline of early Tang dynasty history. 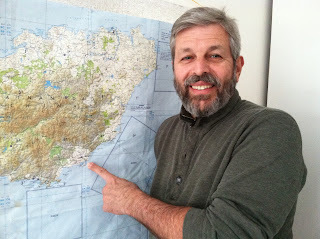 The first volume, Listening to Rain, mostly takes place on contemporary Hainan Island, which is the map I’m standing next to in my author’s picture (see below). My finger is placed on the secret base of the female aborigine pirate, Byung Nhak. The second volume, as yet without a confirmed title, takes place in Sichuan, mostly on Qingcheng Mountain outside of present day Chengdu. The mountain holds an important legendary significance for the development of religious Daoism in Chinese history. While the third volume, also without a title so far, takes place on the Tibetan plateau in a little known region between the then Tang empire and that of the Tibetan kingdom, which was a potent medieval rival in the Central Asian region. What happens after the trilogy could end up being the “secret scrolls” of Tanzong’s adventures, since the trilogy is supposedly written by Li Wei to record his public travels with Tanzong. The Silk Road to India beckons since at this very moment in Tang history the great Buddhist monk traveler, Xuanzang (602-664 C.E.) is moving through Sichuan heading out along the Silk Road to India; perhaps he needs a fellow-monk traveling companion or bodyguard! Further, I’m very much entranced with several of my female characters and would love to write spinoff novels about their adventures: the swordswoman White Rainbow and the pirate captain Byung Nhak. Of course, time is always a problem in such endeavors since I do have a “day job.” Nonetheless, my intention is to develop my own style of this genre, as is natural for any writer in their chosen genre. I hope to do this by combining the various storytelling influences I’ve been exposed to as both a historian and as a student of various forms of storytelling: the written word, cinema, and audio. A few examples being: the wuxia movies I’ve been enjoying since the late 60s; the ideas about the Strange put forth in Pu Songling’s great collection of Strange stories (my short story collection, Strange Tales from the Dragon Gate Inn is dedicated to him); the great historical fiction of Patrick O’Brian; Latin American magic realism fiction; the various martial art masters I’ve studied under; and the several hundred biographies of Tang dynasty monks that I translated with their amazing shenguai sense all get mixed into the “inkpot” that serves my take on the wuxiashenguai genre. This genre has survived so long because it's such a malleable storytelling form. One only needs to view its modern literary and cinematic history to understand this and appreciate the changes the genre has successfully gone through. I have no clue as to what will come out of all this, but then the fun of writing is in the discovery. I do hope you will all join me on this voyage of discovery! NOTE: Author picture courtesy of the author himself. All other character pictures courtesy of Albert A. Dalia.